Oven & Grill Cleaner is suitable to clean carbon encrusted ovens. It delivers superior cleaning effects by breaking down tough, baked-on grease and grime on contact. It dissolves the heaviest burned-on deposits so they can be rinsed clean easily. With minimal scouring action, it gives the oven and grill a fresh and new look! 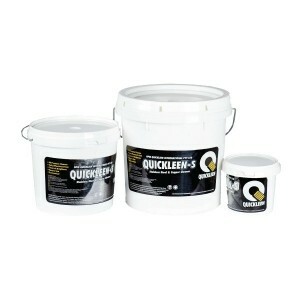 Oven & Grill Cleaner only available in 5L packaging, MOQ = 1 carton (5 x 5L).